April 16,2013: Look, the world is turning upside down. It’d be nice if Democrats and Republicans would stop bickering like they’re 11-year-old boys on court playing a game of “off the wall A.S.S.” and focus on the real issues instead of stepping up when the fit hits the proverbial shan. It seems silly to go about “business as usual” and post a music column, but I am. Music has served as a form of healing throughout my life so I’m posting this today with full knowledge your time will (and should) be spent on superior examples of writing like this. It’s hard to write this column since I’m making metal horns, but someway, somehow I’ll truck through it. 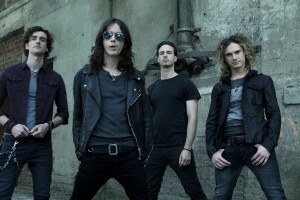 UK rockers Heaven’s Basement have been melting faces with their unique hard rock antics in their homeland – touring rigorously and opening for such artists as Papa Roach, Shinedown and Buckcherry, but now they’re setting their sights on our city streets with the release of their debut album Filthy Empire. The band dropped their debut albumFilthy Empire earlier this month, and will be on the road supporting it for pretty much the rest of the year. In addition to their own tour, which took them to NYC for the first time late last month, they’ll hit the festival circuit, including this years Rock on the Range in Columbus, OH (May 17-19). and Rocklohoma (May 24-26.) On March 26, the band filmed an A-Sides session with yours truly at theDigital Arts Experience in White Plains. Watch the infectious “Fire, Fire” and hard-charger “I Am Electric” followed by an interview. Thank you very much, Miss Lippy! 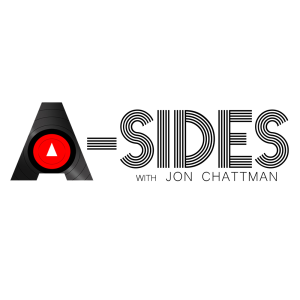 It seems every radio and TV station has a Top 20 Countdown or “top” something when it comes to music so why should A-Sides be any different? Don’t answer that because…you know, it was rhetorical. Starting today, we’re doing it but with a twist. Instead of factoring in album sales or radio popularity, each Tuesday A-Sides will unleash its Top 12 tracks of the week AKA the “Delve Into Twelve” (hat tip to Amber Rose Crisci of Big Picture Media for coming up with that kick-fanny name) based on the following contributing factors: songs I’m playing out that particular week NO MATTER WHEN THEY WERE RELEASED (think overlooked songs, unreleased tracks, and old favorites), songs various publicists are trying to get me to listen to that I did and listened to and liked (phew), posts and trends I’ve noticed on my friends’ Facebook walls, and – most importantly – the songs my 15-month-old son gravitates toward. Yeah, you read that right. Never underestimate the power of a boy in diapers dancing to a ditty! Anyway, here’s the inaugural list!